Today I was already awake at 08:00, but we had to get up only a half hour later, so I wish my eyes had kept themselves shut a bit longer. We are getting very efficient in packing our well sorted gear in our bags and then loading everything into the car on the mornings, therefore we were ready to leave way earlier than necessary. 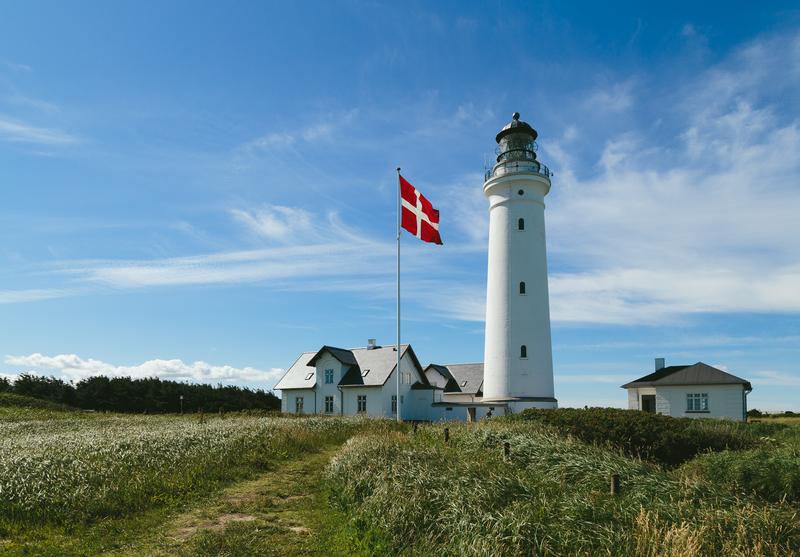 To shorten the waiting time between checking in and actually boarding our Color Line SuperSpeed ferry, we still drove to the nearby light house that stands just above a group of bunkers from World War II, before finally ending up in line for the boat towards Larvik. 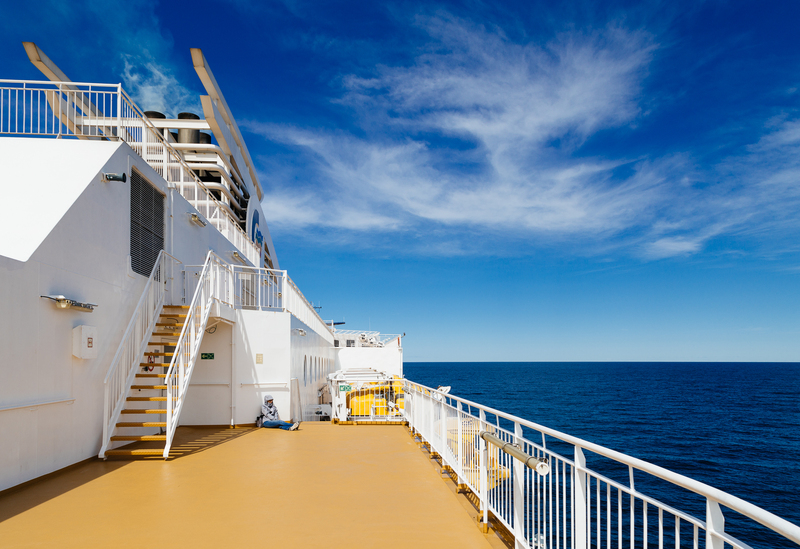 We were among the first cars driving on board, then we watched as the features of the Danish coastline became smaller and smaller from the deck. We left Hirtshals at 12:45, and we arrived to Larvik at 16:30 (thanks to a cruising speed of around 25-27 knots). The weather was great, sunny, and not as windy as the day before, so the sea was calm, and none of us had issues with seasickness. We had burgers and fries for lunch on Deck 7, which were surprisingly good and not expensive at all. After debarking the ferry we headed immediately inlands. We took the scenic route towards Heddal via Hvittingfoss, driving along twisting rivers, and lakes, mostly on fresh, smooth asphalt, climbing higher and deeper into the more and more mountainous landscape as time progressed. At many places dense patches of purle and pink flowers lined the side of the road. 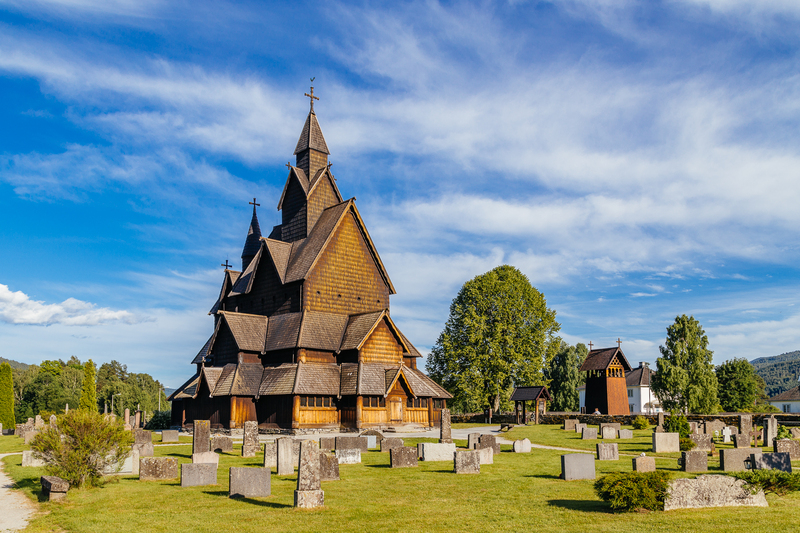 We had just one longer stop at the Heddal stave church, before reaching our “hotel” for tonight at 19:30 (just 15 minutes behind schedule – so far we are doing great), the Løvheim Gjestehus. The stave church was very nice, especially in the relatively lower evening sunshine, and thanks to the lack of other people around it. Our hotel is also great (again), and it is ran by a “funny” Dutch couple (e.g., educating some French guests about their wine choice) :D We have already packed our backpacks in for tomorrow, because we will do some proper hiking at least! Odometer reading at the end of the day: 1377 km (of which 146 km was today). This entry was posted in Uncategorized and tagged ferry, heddal, holidays, road trip, rts2017, scandinavia on June 27, 2017 by Péter I. Pápics.